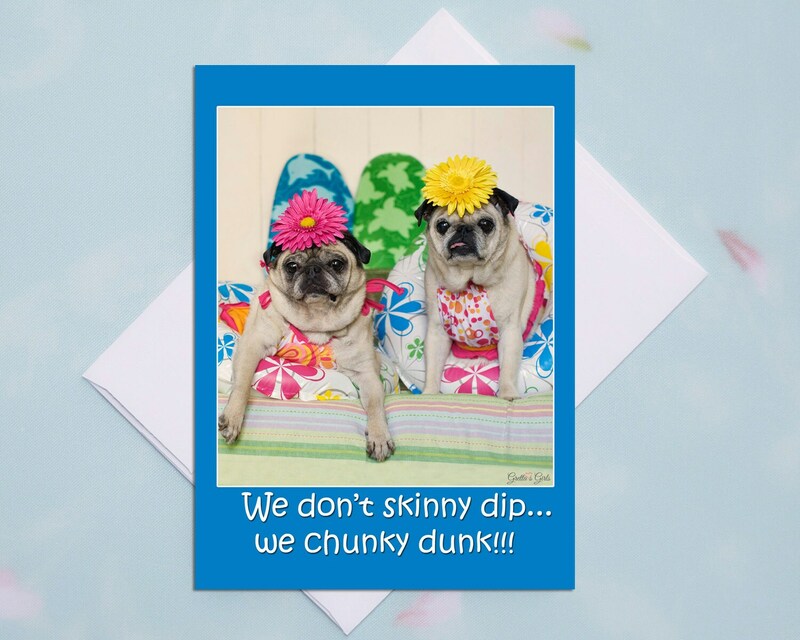 This item is one, "Chunky Dunk," funny card for friends by Gretta's Girls and Pugs and Kisses. It features two fancy, lady pugs all ready for the pool. 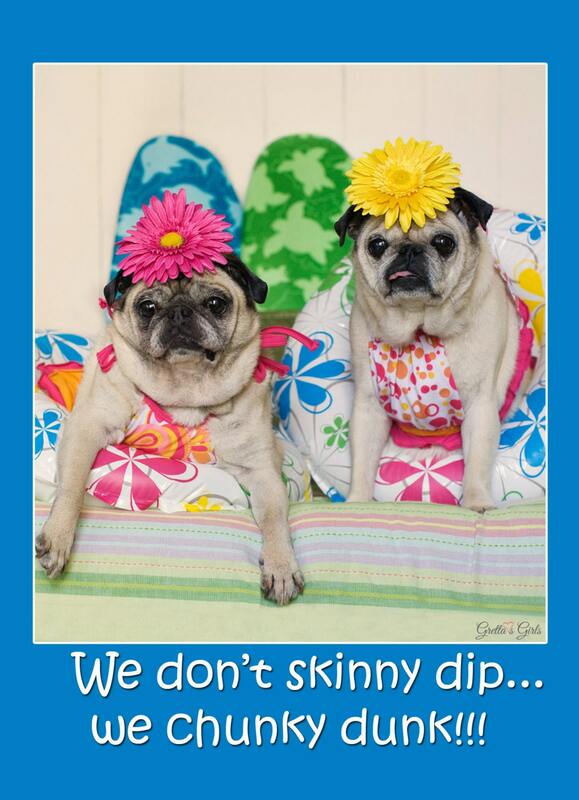 "We don't skinny dip... we chunky dunk!!!" Too funny, right!?! Give the gift of laughter to your girlfriend! No matter what the occasion, she will be delighted!